Then join Encore! Encore! 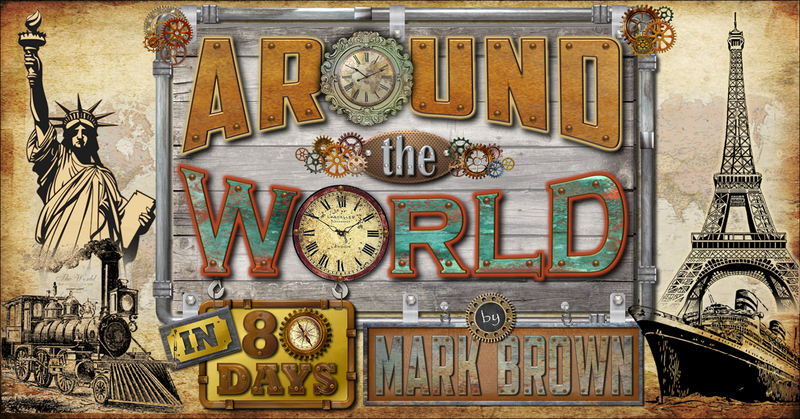 for their production of Mark Brown’s “Around the World in 80 Days”. This comedic adaptation of the Jules Verne classic will have you laughing and cheering on our heroes, Phileas Fogg (yes, that’s his real name), and his overly-faithful manservant, Passepartout (yes, that’s a real name, too!). Travel along with the pair as they race across the globe in an attempt to win a bet. Can our heroes beat the clock despite being chased by a dim witted detective, experiencing multiple travel disasters, and taking a detour to rescue a beautiful princess? The only thing that’s certain is that you’ll have a great time watching them try!